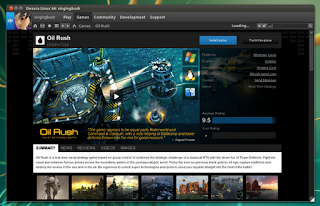 On a recent visit to the Desura website I noticed that they have a Linux client available (released last month). This is great news for both Linux gamers and developers alike. It allows for any game developer with a Linux compatible game to sell their product to Linux users across multiple distros with limited fuss. I highly recommend any Linux user with an interest in games to download the installer to their home directory and start browsing through the available games.